Currently, one of the primary focuses of AMC is related to the use of conflict minerals. Conflict minerals are defined as those mined in conditions of armed conflict and human rights abuses, where the revenue produced finances the responsible militant forces. While the sourcing of such minerals is not currently prohibited, the 2010 Dodd-Frank Wall Street Reform and Consumer Protection Act requires disclosure for the use of any materials originating in the Democratic Republic of Congo and/or its adjoining countries. The purpose of these activities is to increase consumer awareness and ultimately discourage the use of said materials. We are committed to top quality products and demonstrating quality and safety for our customers, Associates and the environment through testing and certification to meet the high standards and regulatory requirements of our customers located around the globe. Our Core Values and Principles are fundamentally based on the belief that a strong, long-term company depends on ethical behavior by all members of the organization. 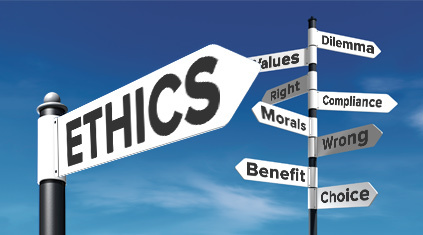 Ethical behavior refers to honesty, protection of privacy and confidentiality, fairness in business practices and human relations and adhering to applicable laws and regulations. AMC endorses these principles and expects ethical behavior by the entire team. AMC also adheres to the voluntary Customs-Trade Partnership Against Terrorism (C-TPAT) as a method of ensuring the security of our supply chain. In addition, AMC adheres to a number of internal policies, including harassment and confidentiality, to address specific ethical areas in support of the overall policy. These guidelines and more may be found in various sections of our Handbook provided to all Associates.